The telescope is an optical instrument used to observe objects that are a significant distance away, especially those that are not seen directly by the naked human eye. It is a collection of lenses and/or mirrors that allows the user to see objects that are far away, by either increasing the brightness around the object or by magnifying the object. The telescopes are able to perform at different levels of the electromagnetic spectrum from the radio waves to gamma rays. The first optical telescope, according to some sources, was made by the Dutch lens-grinder names Hand Lippershey in the year 1608. 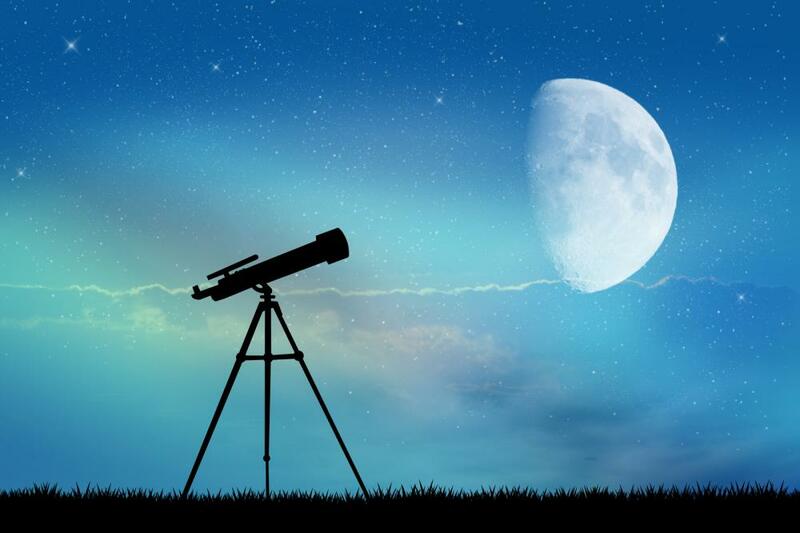 Around the same time Galileo developed the first ever astronomical telescope. It was a tube that contained two lenses of different focal length that had been aligned on one axis. Using this telescope, and the different versions that followed after, Galileo performed the first telescopic observation of the sky. During this time he discovered the lunar mountains, Jupiter’s four moons, sunspots, and the stars of the Milky Way. There are two basic types of telescopes: the refracting telescope and the reflecting telescope. The refracting telescope uses two lenses to work the light to focus on the object which tends to appear bigger than it really is. Both the lenses are convex lenses which work by bending the light inwards. The biggest refracting telescope in the world is present in the Yerkes Observatory of the University of Chicago. The reflecting telescopes do not use lenses. They use mirrors to focus the light on the object and then they reflect the image back to the user. This entry was posted in Uncategorized and tagged amita vadlamudi, Astronomy, Science, Telescope on August 15, 2018 by wpadmin. 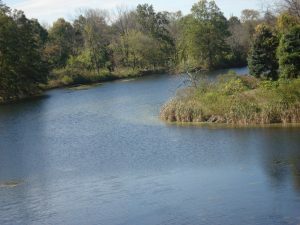 Essayist John Burroughs once famously gave the wise suggestion to “go to nature to be soothed and healed”. His words seem to hold true even today, as scientific studies suggest numerous health benefits to be had from nature, benefits like reducing depression and aiding healing. While most prefer a beach trip or a jungle safari, an often overlooked way to communicate with nature is viewing a weather phenomenon like Aurora Borealis in all its glory. Aurora Borealis or Northern Lights are a beautiful display of vibrant glowing lights that takes place on the Earth’s Northern Hemisphere. It’s caused by plasma particles that escaped from the sun’s surface and couldn’t be accelerated away by the Earth’s own magnetic field. The plasma particles’ interaction with Earth’s gaseous atmosphere results in a spectacular display of lights that has been described as “fire in the sky”. 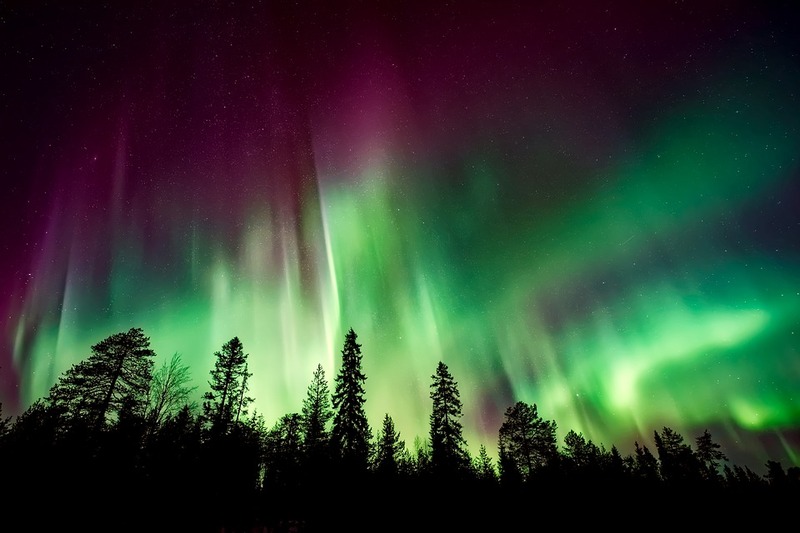 The Northern Lights occur in varying colors that range from red to violet. However, the most common colors associated with the phenomenon are green and yellow caused by oxygen in the atmosphere interacting with the solar particles. Occasionally shades of red, blue and violet occur due to nitrogen. The Lights also don’t appear in any one particular fashion – they may appear as a strand in the sky or as a running stream of light when the concentration of solar particles is high. Where to Go to See the Northern Lights? Considering the beauty of the sight it offers, most tourists visit countries located in the Auroral Ring like Iceland and Norway to experience the Lights in their full majestic glory. Tour operators offer special packages for viewing Aurora Borealis that includes visiting towns with minimal light pollution. Minimal light pollution ensures that the weather phenomenon is viewed at its peak brightness. Besides Scandinavian countries, one can view the Lights in North America especially in northwest areas of Canada and Alaska where the Lights are quite noticeable. The phenomenon is not just limited to the Northern Hemisphere. When the phenomenon takes place in the Southern Hemisphere, it is known as Aurora Australia. These Lights though aren’t viewed by many as the Antarctic has difficult climatic conditions and is not a hospitable place to visit. Although they occur from time to time throughout the year, Aurora Borealis is best viewed in winter, lasting from September to April when nights offer the most darkness. This entry was posted in Uncategorized and tagged amita vadlamudi, Aurora Borealis, Northern Lights, weather phenomenon on May 20, 2018 by wpadmin. Computers are known to be one of the greatest inventions that were ever thought of and created. Their history goes back 2500 years to the abacus, which was a simple calculator that had been made from beads and wires. The abacus is still thought to be used in certain parts of the world today. If a modern computer and the ancient abacus are compared now, then it would come into the observation that both are vastly different, but they have one thing in common, they can do calculations much more swiftly than the human brain. In the year 1642 a well-known French mathematician, Blaise Pascal, invented the adding machine which used cogs on wheels to represent numbers. This was the first ever practical mechanical calculator which the mathematician had designed to help his tax-collector do his sums. This invention was later upped by the German mathematician, Gottfried Wilhelm Leibniz in 1671, who instead of using cogs used cylinders with teeth of increasing length around its edges. Not only that, he is also credited with creating the binary code. Memory: this is where the numbers would be stored while the complicated calculations would be taking place. A processor: this would be the number cruncher where the calculations would be carried out. Each of Babbage’s programmable machines was designed to use tens of thousands of precision gears. Augusta Ada Byron was an enthusiastic mathematician who fueled Byron’s ideas of making his machine programmable, she is even known to be the world’s first ever programmer. Not much could be made of Babbage’s work since none of his work could be completed. It probably needed much more finance than the British government could provide and so his ideas could never take proper formation. American statistician Herman Hollerith is known to build one of the world’s first practical calculation machines. This machine had been created to compile census data. This was created during very critical times for the US government when they had been seeing a peak in population and realized that developing a census would be nearly impossible. The real ideas of computers were contributed by Alan Turing, who was a Cambridge mathematician of a high reputation. He wrote a groundbreaking paper in which he theoretically laid out the instructions of a computer. These instructions were of a machine, now known as the Turing machine, which would be a simple information processor that would work through a series of instructions, reading data, writing results, and then moving to the next instructions. The future inventors took inspiration from Turing and others and worked on creating the present-day computer. About the Author: A long time computer professional, Amita Vadlamudi writes about computers and on other technical subjects. Some of her other articles can be found on her Worky site. Amita Vadlamudi’s professional qualifications can be found on her About.me site. This entry was posted in Uncategorized and tagged amita vadlamudi, Computers, Information Technology, Technology on April 14, 2018 by wpadmin. 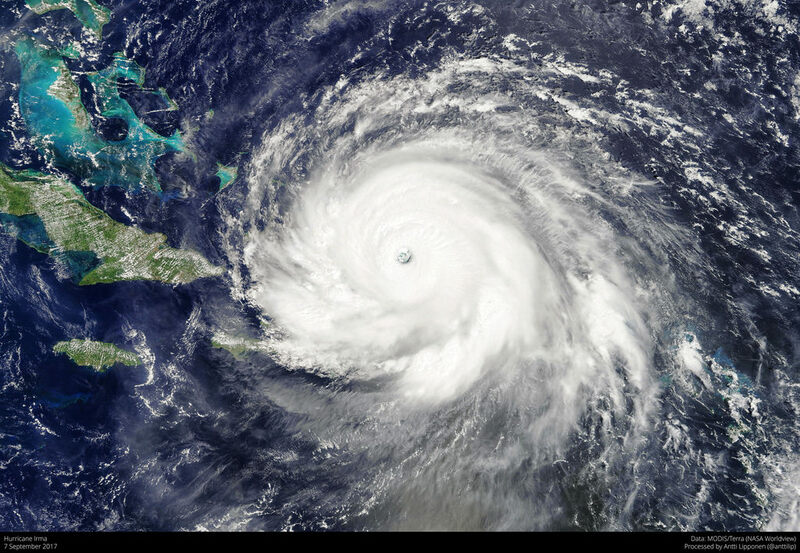 Hurricanes are huge, spiraling tropical storms that produce extremely high winds and massive amounts of rain. Hurricanes are categorized on the scale of 1-5. Category 5 hurricanes can produce winds at the speeds of over 160 miles (257 kilometers) an hour and rains of more than 2.4 trillion gallons (9 trillion liters) a day. The Atlantic Ocean’s hurricane season peaks mid-August to late October and averages 5 to 6 hurricanes per year. Hurricanes, also known as tropical cyclones, are like giant engines that use warm, moist air as fuel. That is why they only form over warm ocean water near the equator. The warm and now moist laden air moves up and away from the surface. As the warm air rises it causes the formation of a low-pressure area below. The air from the high-pressure areas starts to fill the low-pressure area, and that air again becomes moist and warm rising from the surface. Meanwhile, the surrounding air swirls to take its place. As the warmed air cools off the water in the air forms clouds, the whole system of clouds and wind spins and grows fed by the oceans heat and water evaporating from the surface. According to meteorologist Phil Klotzbach of Colorado State University, hurricanes move the heat from the warm equilateral regions to colder Polar Regions, which is why they form on warm water near the equator. They also help radiate heat out of the tropics into space. Hurricane of the 1900s which took the lives of approximately 6000 to 12000 Americans in Galveston, Texas, was known as the Great Storm by the locals. This hurricane hit Galveston with winds up to 22 km.h (135 mph) and 4.5 m (15ft) tides. Okeechobee hurricane of 1928 took 2,500 Florida citizens with its winds. This was the second storm in US history to reach category 5. The water had covered the Lake Okeechobee region 15 ft (6m) deep, killing mostly the migrant workers. The Hurricane Katrina of 2005 took the lives of 1,836 New Orleans citizens. About 80% of the historic New Orleans was covered in water. The levels designed to protect it incurred 53 individual failures and the low lying city was inundated. The hurricanes may form to provide a sort of balance on both poles, but they tend to claim the lives of dozens if and when they shift the wrong way. The author of this article Amita Vadlamudi is enthusiastic about reading and researching scientific subjects. Amita Vadlamudi has published articles on various subjects on many of her web sites. This entry was posted in Uncategorized and tagged amita vadlamudi, Hurricanes, Weather on February 17, 2018 by wpadmin. Having worked for a large company with onsite health care center and gym, Amita Vadlamudi is conscious about health matters. While supporting the company’s computer systems Amita Vadlamudi took the time to work out at the gym and to learn about how diet affects person’s wellbeing. Hypoglycemia is a low blood sugar condition. While severe hypoglycemia can be caused by diabetes treatment and has serious consequences, mild hypoglycemia can also have many unpleasant effects. Many behavioral and emotional problems in children and adults can be traced to hypoglycemia. It is well-known that over-consumption of sugar often causes hyperactivity in children. On the other hand, often a sudden hike in blood sugar can lead to sudden dip causing hypoglycemia that results in mood swings in children. Children may become irritable, irrational and exhibit defiant behaviors. Sometimes they might withdraw and show lack of interest. Hypoglycemia just as often affects adults. It could cause fatigue, irritability, memory loss, lack of focus and concentration. There are no drugs you can take to permanently cure hypoglycemia. But you can prevent and control hypoglycemia by following a healthy life style. 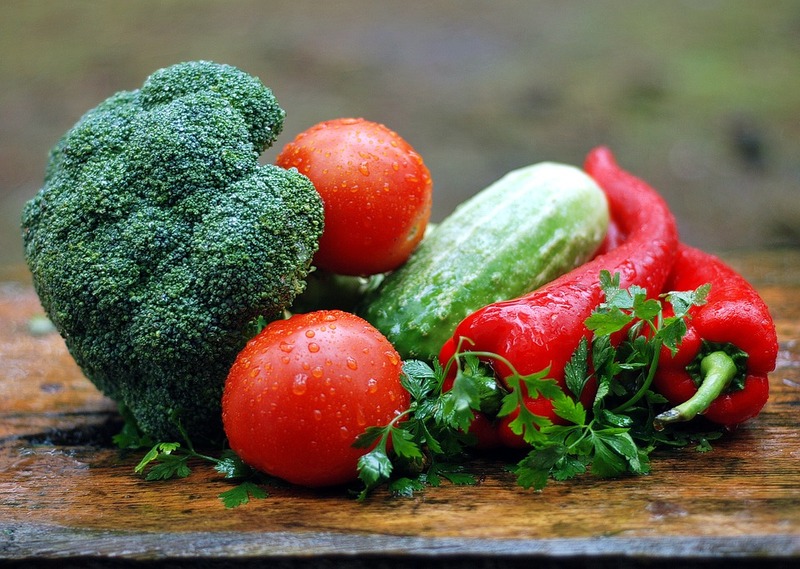 It is very important for people suffering the symptoms of hypoglycemia to follow a healthy diet. Instead of eating few big meals, you should eat small portions every 3 hours or so. Each meal should contain a proper balance of protein, fat and carbohydrates. Sugary snacks and drinks should be avoided. Whole fruits, vegetables, nuts and crackers are good snack choices. Water is the best drink choice. It also helps to get proper amount of sleep each day (7-8 hours) and low to moderate levels of exercise at least 3 times a week. This entry was posted in Uncategorized and tagged amita vadlamudi, Hypoglycemia, Low sugar, Nutrition on January 28, 2018 by wpadmin. In the United States rice is consumed as a side dish, used in soups, casseroles and desserts. Rice is also used to make wine and beer and also used in pet food. Before cooking, the grains must be milled. Milling removes the hulls. During this process the bran that contains the fiber as well as the valuable vitamins and minerals are also removed. To make up the vitamin and mineral losses, many millers fortify the kernels with vitamin and mineral supplements. This rice is sold as the white enriched rice. Brown rice is rice that has not had the bran coats removed by milling. It retains the fiber and its natural vitamins and minerals and therefore a better choice over the white enriched rice. Parboiled rice which is also called converted rice is produced by partially boiling the rice in the husk then removing the husk. This process retains 80% of the vitamins and minerals that are usually lost in milling. Parboiled rice takes less time to cook and is firmer and less sticky. In U.S. rice is classified by grain length. There is short grain rice which is round, medium grain rice which is plump and the long grain rice which is long and slender. Short grain rice cooks moist and firm. Long grain rice cooks dry and the kernels stay separated. All these three types of rice have the same nutritional value. About 20 varieties of rice are produced in the United States. Arkansas, Texas, Louisiana, Mississippi, Missouri, and California are the leading producers of rice. Although the original rice producing state was South Carolina, almost all of the “Carolina Gold” is now cultivated in Texas, Arkansas and Louisiana. 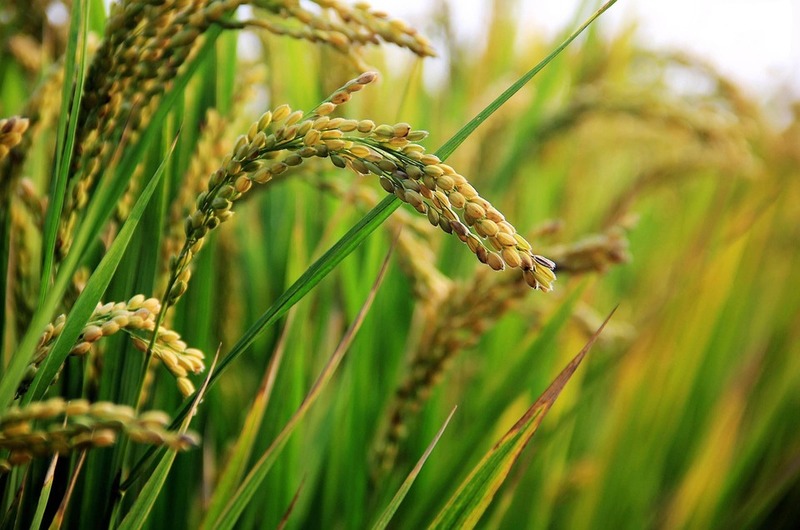 In 2006 US produced rice valued at $1.88 billion, half of which was exported to other countries. United States is now also producing aromatic rice such as the Jasmine rice and also TEXMATI which is a cross between the Indian Basmati rice and American long grain rice. About the Author: Amita Vadlamudi, a Computer Technology Professional likes to read and research into many different subjects. Botany and Agriculture are also in the list of interests for Amita Vadlamudi, especially as they apply to everyday living. This entry was posted in Uncategorized and tagged Agriculture, amita vadlamudi, Rice, Rice production on October 6, 2017 by wpadmin. With over 35 years of experience in information technology, Amita Vadlamudi was a computer systems analyst who supported mainframe and distributed systems. Information technology (IT) involves the use, maintenance, and development of computer systems, software, and networks. Information technology is used to process and distribute large quantities of data, voice, or video. 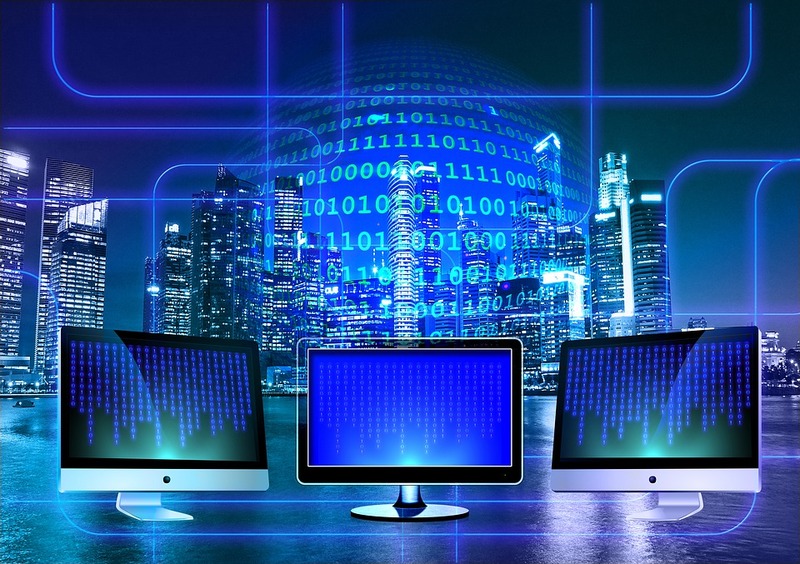 Information technology includes all computers with a human interface; peripheral devices connected to a computer or network; and voice, video, and data networks to transmit and receive data. Examples of information technology include telephones and radios for voice communication; computer applications or programs used to input, store, or process data like spreadsheet or word processing programs; and server hardware and software to support company or group computing needs. 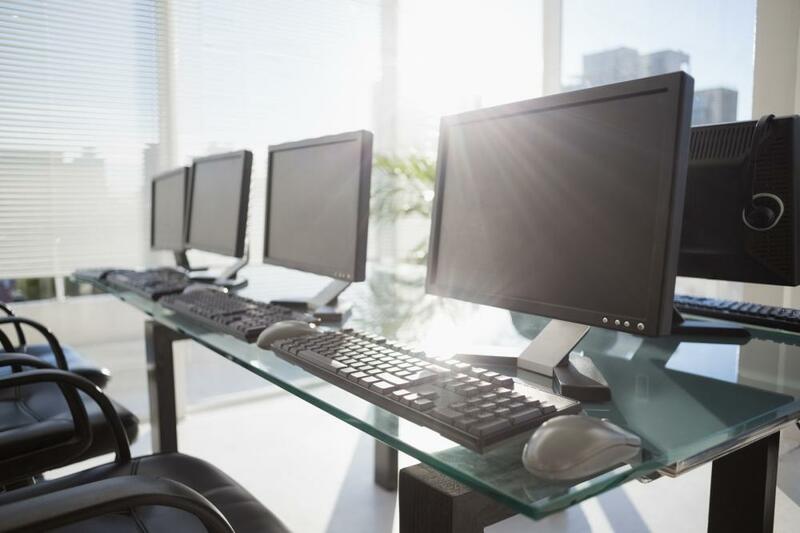 Examples of machinery not categorized as information technology include standalone computing or monitoring systems such as fire alarms, standalone audio-visual equipment including video cameras or televisions, and copy and fax machines. This entry was posted in Uncategorized and tagged amita vadlamudi, Information Technology on July 28, 2017 by wpadmin. Although 70% of the earth consists of water, there is very little supply of natural drinking water on earth. Most drinking water needs to be purified and transported to the households before it can be consumed. Water treatment and transportation is costly. The rate of water consumption far exceeds the pace that the water is prepared for consumption. For these reasons water conservation is essential. There are many ways to conserve water. Water the lawns and gardens late in the evening when there is less chance of water evaporation into the air. Fix any water leaks in and around the house promptly. Install low flow shower heads and faucet aerators. Replace older toilets that take as much as 3.5 gallons or more of water for each flush with newer ones that take as little as 1.2 gallons. Another creative way to save on water waste is to install a hot water recirculating pump. Many of us drain as much as a gallon of water while waiting for the hot water to arrive through the faucet before we can wash our hands or take a shower. Hot water recirculating pumps keep a ready supply of hot water right at the faucet. Although they can be expensive to install, the costs can be recouped in several years with the water they save. And they provide a great fringe benefit of not being shocked by the ice cold water every time you like to wash your hands. About the Author: Amita Vadlamudi worked in the computer field for several decades. Although her work experience is with the computers, Amita Vadlamudi is conscious about environmental issues and water conservation. This entry was posted in Uncategorized and tagged amita vadlamudi, water on June 27, 2017 by wpadmin. Please visit my Vimeo Web Page where you will find some of my favorite videos. This entry was posted in Uncategorized and tagged amita vadlamudi, vimeo on April 5, 2017 by wpadmin.